WHEN Genevieve and Morrell Trimble cast their eyes on 250 acres of rubble and overgrown landscape -- the remains of Afton Villa, a Louisiana ante bellum mansion with lavish gardens -- they decided to pre-empt its inevitable takeover by real estate developers by buying it themselves. Since the main house had burned to the ground in 1963, their architect, Barry Fox, helped turn the pool house into charming living quarters for the Trimbles, who in 1972 embarked on their huge, 20-year project to restore the lost gardens. Thanks to their dedication, their gardening skills, and the quality of the original landscape architecture, Afton Villa again offers visitors to Louisiana a taste of the golden age of Southern living. Genevieve and Morrell Trimble developed an immediate affection for the estate after driving by one day. They were devastated when the mansion burned down and watched as the gardens fell into disrepair. In 1972, concerned that the property would be purchased and re-developed, they decided to purchase the estate and restore its European style gardens. The Trimbles took up residence in the pool house, which they had renovated for that purpose, and began work to restore the overgrown gardens along with the help of landscape architect Neil Odenwald, professor emeritus at Louisiana State University, and a crew of groundskeepers. Steward Genevieve Trimble has since worked tirelessly to protect the gardens, endeavoring to keep the original footprint and character of the space. The formal gardens that surround the main house have since been rehabilitated with little change since their inception under David and Susan Barrow. However, along with continuing restoration efforts, the Trimbles incorporated the ruins of the villa into a series of gardens that retain the house’s original footprint. Stairs lead to a small garden at the bottom of the slope called the Music Room, which sits above the Daffodil Valley. In the 1970s, the Trimbles constructed a pond and lake on the grounds of the property. The Trimble’s were presented with the 2003 Preservation Award by the Foundation for Historical Louisiana. 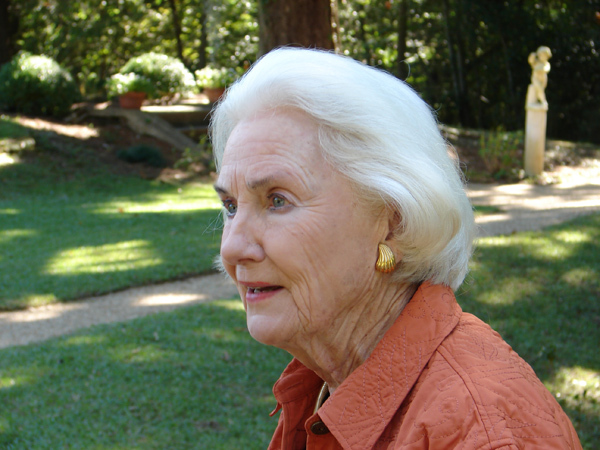 Genevieve continues to care for the gardens and educate visitors about their history.